WASHINGTON (WUSA9) -- A Takoma Park police officer is accused of attacking a D.C. police officer after a fight at a Northwest D.C. club. Officer Milton Flores has been suspended with pay after he was charged with assault on a police officer in the District of Columbia in connection to the incident. Flores has been with the Takoma Park Police Department since August 2014. In a statement, TPPD police chief Alan Goldberg said officers are held to a higher standard and the reputation of their peers is damaged when their actions cross the line. TAKOMA PARK, Md. (WUSA9) -- Police have located a missing 14-year-old girl from Takoma Park. Valeria Maria Lovo, 14, was last seen at Montgomery Blair High School in Silver Spring on Wednesday, Takoma Park police said. She was dropped off at school in the morning and did not return home. Thursday evening, police located Lovo in good health. Anyone who has information about Lovo's whereabouts is asked to contact the Takoma Park Police Department at 301-270-1100 and refer to case #16001051. An international development worker from Takoma Park, Md. was sole American killed during a siege on a luxury hotel in Mali, family members said in a statement. As first reported by our editorial partners at The Washington Post, Anita Datar was one of up to 27 people killed after extremists stormed the Radisson Blu hotel in downtown Bamako, which is Mali's capital. TAKOMA PARK, Md. (WUSA9) -- Three people were shot at a strip mall in Takoma Park overnight Friday, according to police. The triple shooting happened at the strip mall located on Riggs Road near Chillum Road in Takoma Park, Md. TAKOMA PARK, Md. (WUSA9) -- A woman found dead Tuesday morning near a dumpster outside a shopping center in Takoma Park has been identified. Takoma Park police say the body of Elena Gugicheva was found at around 7:00 a.m. Tuesday by a maintenance employee disposing trash in the dumpster enclosure at the shopping center. Gugicheva, 34, worked part-time as a Paralegal at the law offices of Carmyn Lombardo at Hampshire Park strip mall on New Hampshire Avenue, according to police. TAKOMA PARK, Md. 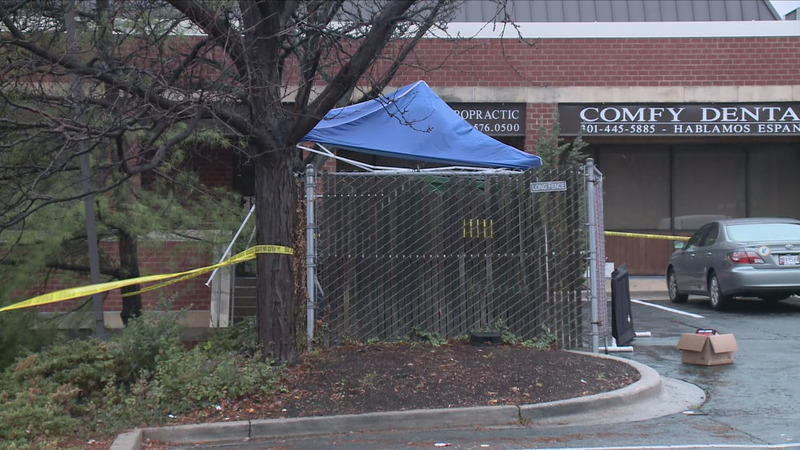 (WUSA9) -- A suspicious death in Takoma Park is being investigated Tuesday morning after a woman in her 30's was found dead near a dumpster, a WUSA9 crew at the scene said.